The Netonix® WISP Switch product line was designed specifically for the WISP industry with a rugged chassis and extended operating temperature range. It features a simple yet powerful user interface providing the software features WISPs need in a switch. 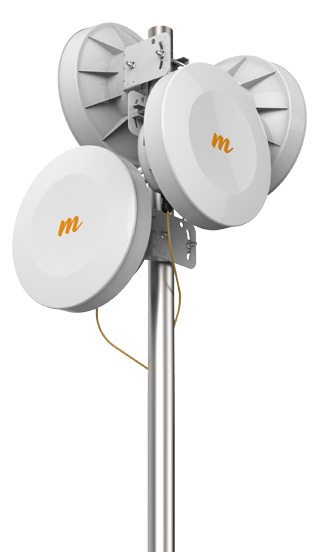 WISP Centric: Netonix products are built for WISPs (Wireless Internet Service Provider). This means they are designed for WISPs and their particular needs including the specific power requirements and size (port number and configuration). 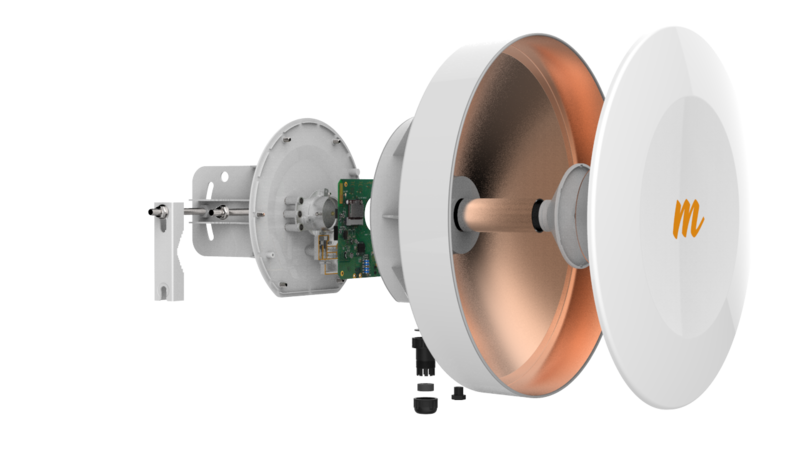 Energy Compatible: Voltage and wattage compatible with WISP type products: 24/48V Passive and will run 56V (for airFiber). United States Company with access to support. Now Available at Streakwave Wireless: Netonix switches in stock now and ready for order. 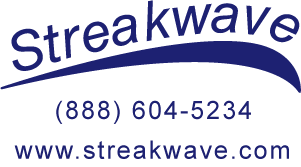 Streakwave sales team can assist with project equipment choices/configuration needs. 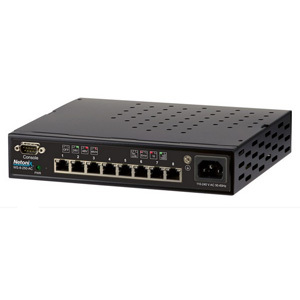 The Netonix® WISP Switch™ model WS-8-250-AC is designed specifically for the WISP industry delivering Gigabit Ethernet performance in a compact rugged chassis with an extended operating temperature range. It features a simple yet powerful user interface providing the software features WISPs need in a switch. 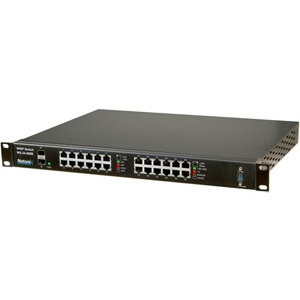 The WS-12-250A is capable of powering up to 4 Ubiquiti airFiber 24™, airFiber 5™, SAF Lumina™, Exalt™ or other high power demanding radios on ports 1-4 which have a special 48VH in addition to the standard 24V and 48V passive PoE options that can deliver up to 50 watts of constant draw using all 4 pairs. The WS-12-250B is capable of powering up to 2 Ubiquiti airFiber 24™, airFiber 5™, SAF Lumina™, Exalt™ or other high power demanding radios on ports 1-2 which have a special 48VH in addition to the standard 24V and 48V passive PoE options that can deliver up to 50 watts of constant draw using all 4 pairs. 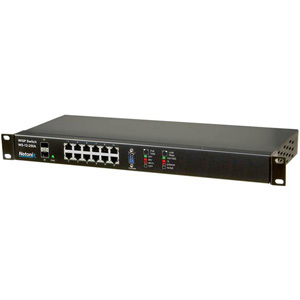 The WS-24-400A is capable of powering up to 4 Ubiquiti airFiber 24™, airFiber 5™, SAF Lumina™, Exalt™ or other high power demanding radios on ports 1-4 which have a special 48VH in addition to the standard 24V and 48V passive PoE options that can deliver up to 50 watts of constant draw using all 4 pairs. 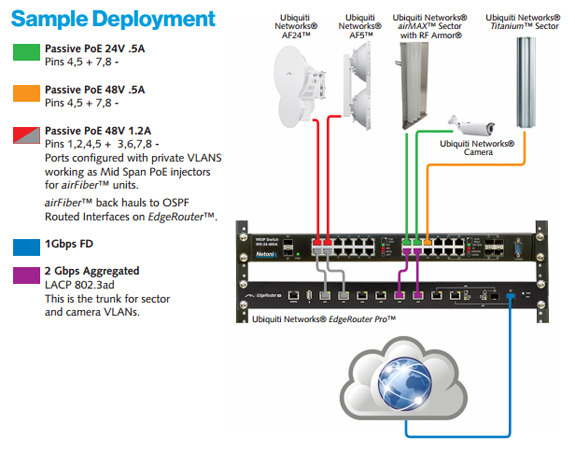 The WS-24-400B is capable of powering up to 2 Ubiquiti airFiber 24™, airFiber 5™, SAF Lumina™, Exalt™ or other high power demanding radios on ports 1-2 which have a special 48VH in addition to the standard 24V and 48V passive PoE options that can deliver up to 50 watts of constant draw using all 4 pairs. *All of the named brands above are the property and trademark of their respective companies.